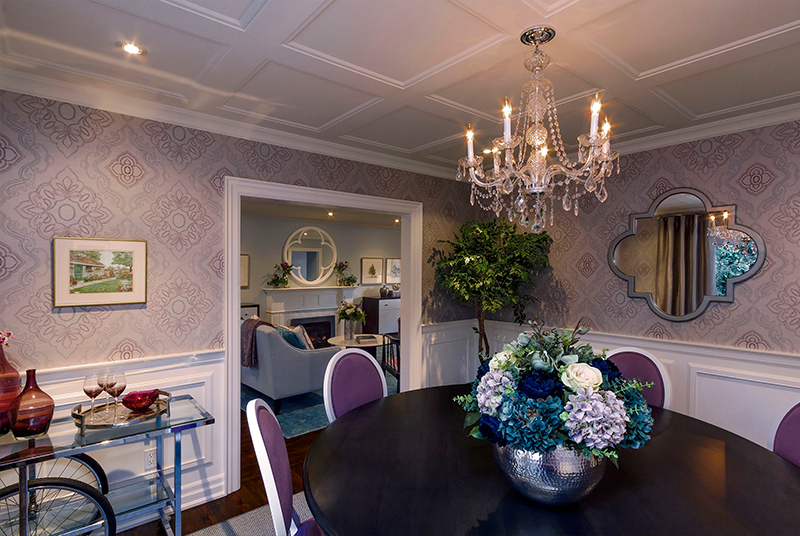 I am always on the look-out for unique touches to complete a space in a personal way. I had almost completed a dining room in a lovely family home and was looking for a small server to place in the corner. I was casually browsing in one of my favourite vintage stores one day and happened upon a 1970s bar cart built on two bicycle tires. My mind instantly flashed to my sports-loving clients’ wedding photo- gorgeous young couple on a beach, formal attire, two embellished bicycles- these were die-hard cyclists! 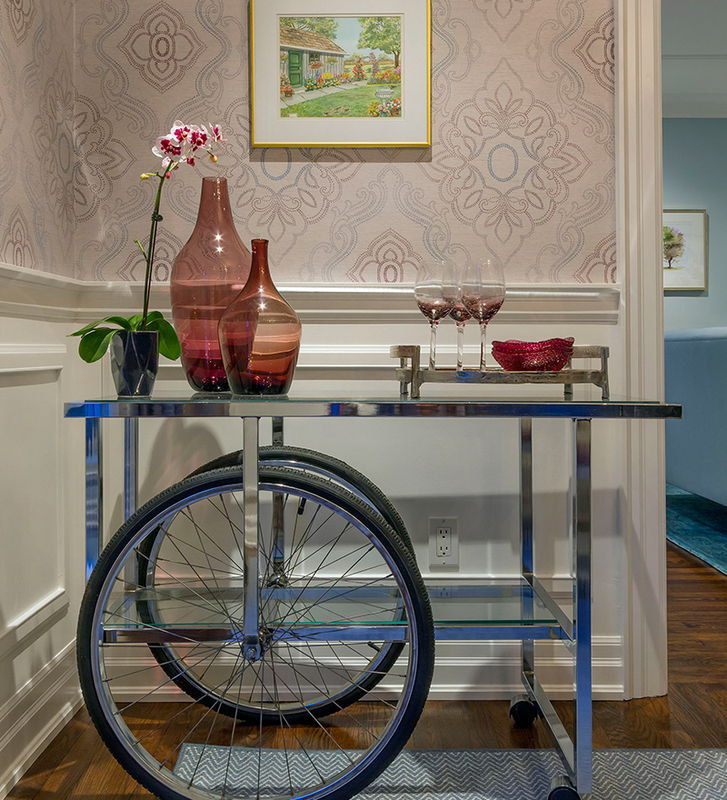 The bar cart now sits along a wall in the newly decorated dining room, a personal, whimsical touch in an otherwise formal room.